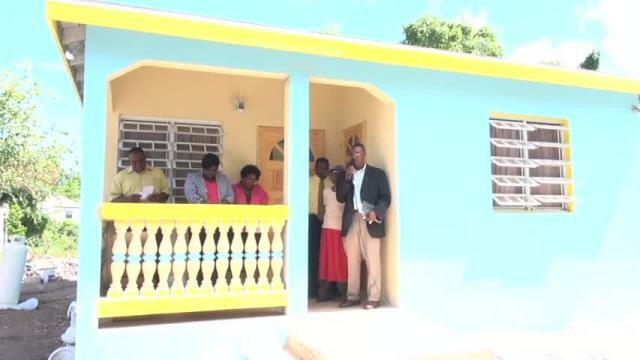 NIA CHARLESTOWN NEVIS (AUGUST 18, 2015) — The Ministry of Social Development in the Nevis Island Administration (NIA) continues in its quest to provide for the island’s senior citizens, the poor and vulnerable. In its latest move to fulfil that mission, Junior Minister Hon. 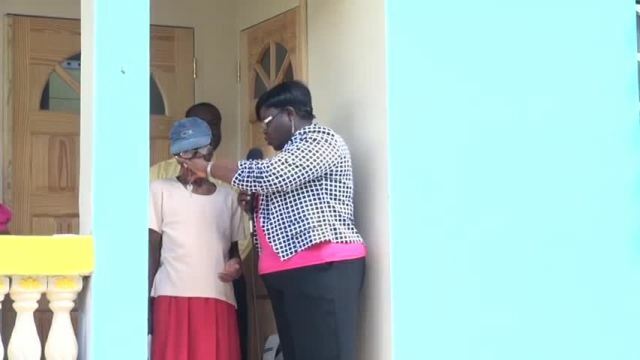 Hazel Brady-Williams who heads the Ministry, handed over the keys to a three bedroom concrete house at Old Hospital Road worth more than EC$75,000 to 84-year-old Estelle Bartlette at a brief but significant ceremony on August 17, 2015. In response, a visibly emotional Bartlette thanked God and all who assisted in making her new home a reality. “Thank you Jesus and God bless each and every one of you. Jesus say he ain’ bring me thus far to leave me…so I thank, I thank, I thank in the name of Jesus I thank you. God bless you,” she said moments after receiving the key. After the matter was brought to their attention, an assessment of Bartlette’s living conditions was carried out. Minister Brandy-Williams said it was then realised that the Senior Citizen was an excellent candidate based on the Department’s criteria for social assistance. “Our mandate at the ministry is to try and make living conditions better for the vulnerable in the society and one of the demographics of the vulnerable group is our seniors. So based on the assessment done and Mrs. Bartlette’s having met the criteria, we realised that we had to step up and give her the full assistance. “I would like to say also that we entered into a contractual agreement with Mrs. Bartlette. She had some resources to assist with the construction materials but not enough to build this edifice and so, we decided to use our team of workers at the department to erect this building and so today I would like to say how happy I am to be a part of this fine project,” she said. 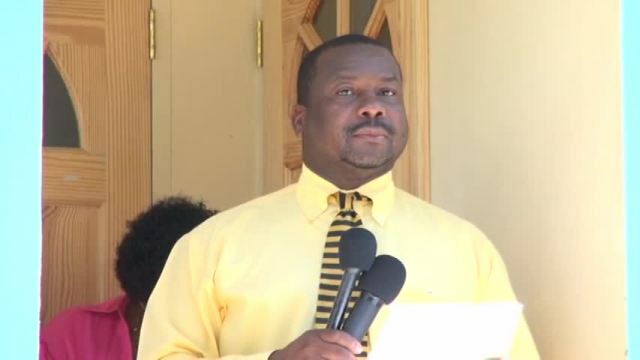 Meantime, Permanent Secretary in the Ministry of Social Development Keith Glasgow noted that the ministry, and by extension the NIA, was moved to assist Mrs. Bartlette in an effort to improve her standard of living and quality of life through the ministry’s Community Housing Programme.